142.8-meter S/Y A, the largest private sailing yacht in the world, built for Russian billionaire Andrey Melnichenko left Nobiskrug and headed out to Spain where she will undergo further sea trials as the internal fit-out continues. The yacht is scheduled to be handed over to her owner in late Spring 2017. 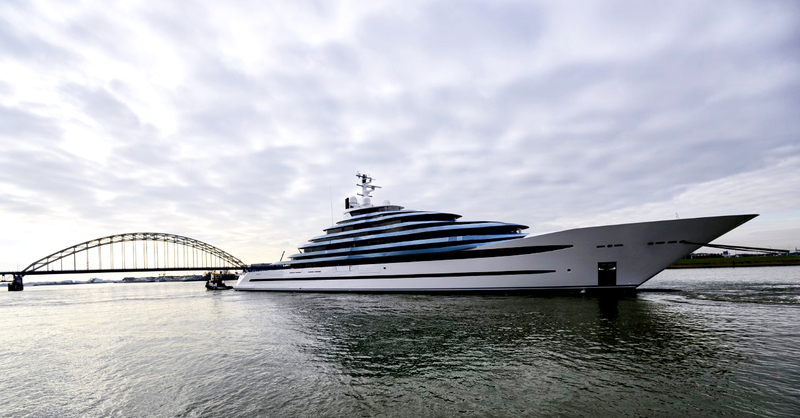 Dutch shipyard Oceanco has launched Project Jubilee (Y714) on February 6. Measuring 110 metres, she is the largest vessel ever built in the Netherlands. 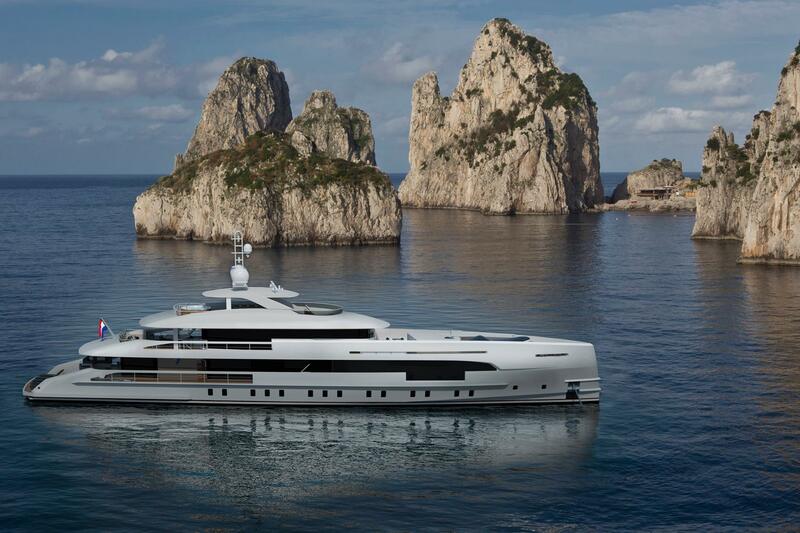 Featuring six decks, the superyacht has 16.4m/54ft beam and just over 4,500 Gross Tons. Igor Lobanov has created a unique & architecturally challenging design which creates a visual effect of multi-level decks. She offers a fully certified helicopter operating deck forward with a concealed mooring deck below. Viewed from above, her curvaceous lines lead aft to a large pool deck with built in aquarium and substantial beach club below. 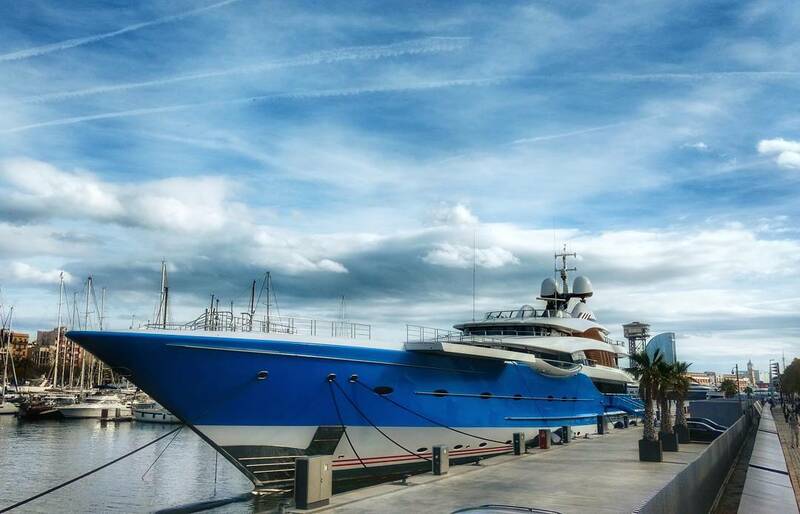 Madame Gu, reportedly built for Russian billionaire and Metalloinvest shareholder Andrei Skoch, has been recently spotted in Barcelona, Spain. Last summer we've also seen the 99m superyacht in Antibes, Monaco and St. Tropez. As superyachts Aquarius and Solandge, 63m Bennetti 11-11 has been spotted in Fort Lauderdale. Delivered in 2015, she is able to accommodate 12 guests as well as a crew of 16. The main salon features custom-made U-shape sofa, 12-seater formal dining table and a grey colour palette, while the sky lounge on the upper deck offers a more informal lounge environment complete with cocktail bar and generous seating. 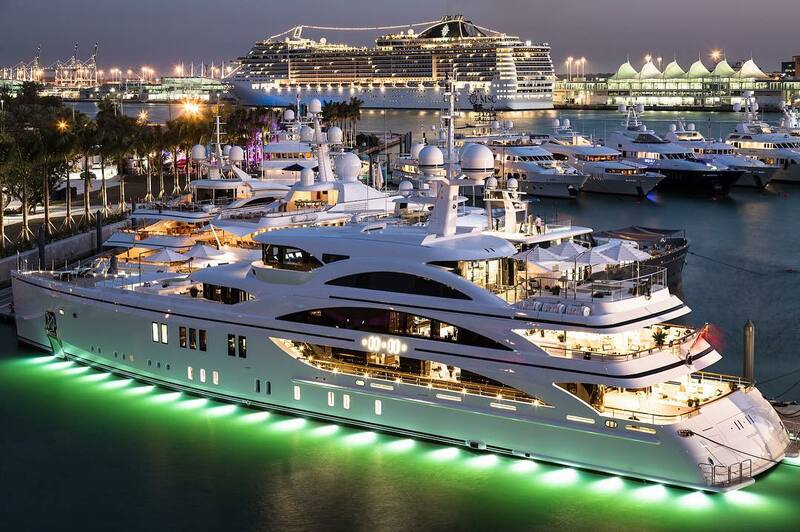 It seems like most of the major yachts the past week have been seen in the USA: Feadship Aquarius, Lurssen Solandge and Benetti 11-11 in Fort Lauderdale, 115m explorer yacht Luna in Miami. 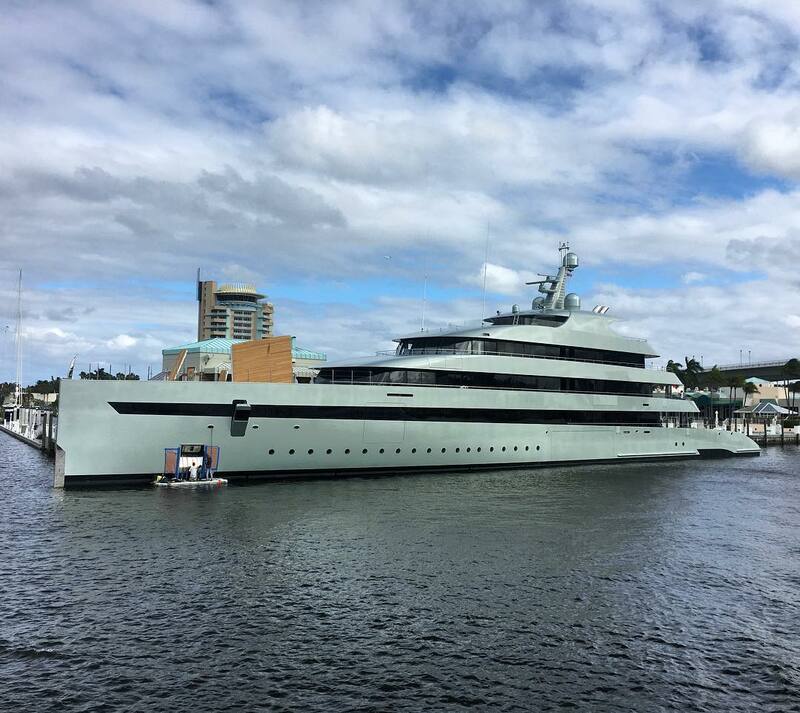 Now we have spotted the most innovative yacht from Feadship, 83.5m Savannah, in Fort Lauderdale as well. 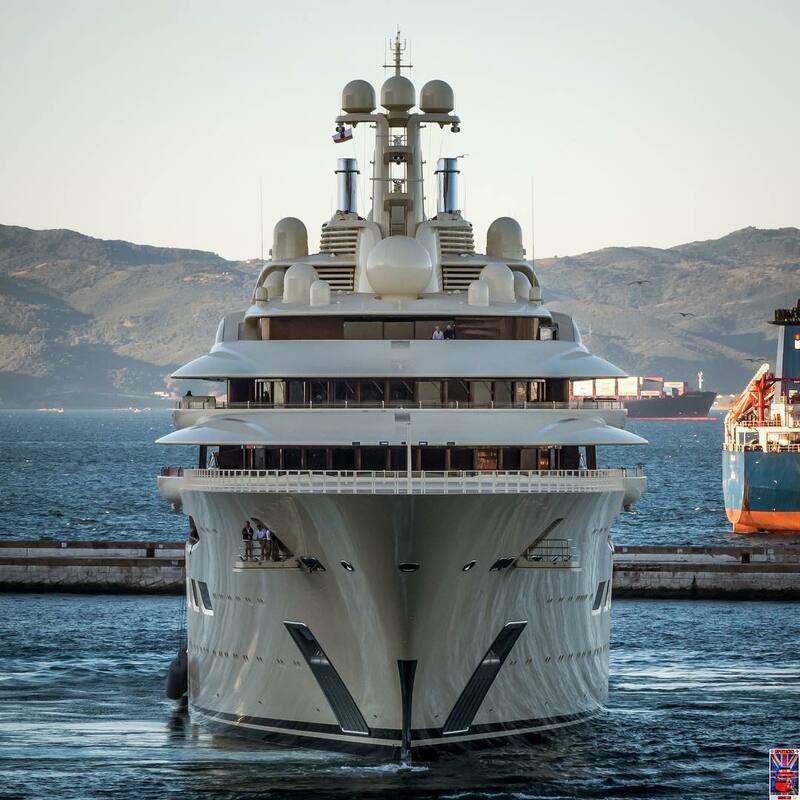 Lurssen megayacht Dilbar has been recently spotted in the port of Gibraltar. She became Alisher Usmanov's, one of the Russian billionaires shaping the yachting industry, third yacht. 156m Dilbar, launched at Lurssen facility in November 2015, has officially become the world's largest yacht by volume with a gross tonnage of 15,917 tons, toping Al Said's 15,850 tons and Azzam's 13,136 tons. Heesen Yachts has announced that the owner of Project Nova (YN 17850) has appointed Italian designer Cristiano Gatto as interior stylist. The client, a yacht connoisseur, was introduced to the Dutch shipyard by Thom Conboy of Heesen Yachts USA. Sold in June 2016, Project Nova is the world's first fast displacement with hybrid propulsion. In this case, ‘hybrid’ means that the yacht can draw on two sources of power for propulsion: diesel mechanical and diesel electrical. Either or both sources can be used at the same time to provide more flexible power management and better efficiency along with less noise and vibration. Up to speeds of 9 knots in electrical hybrid mode, the yacht will be as silent as when at anchor.